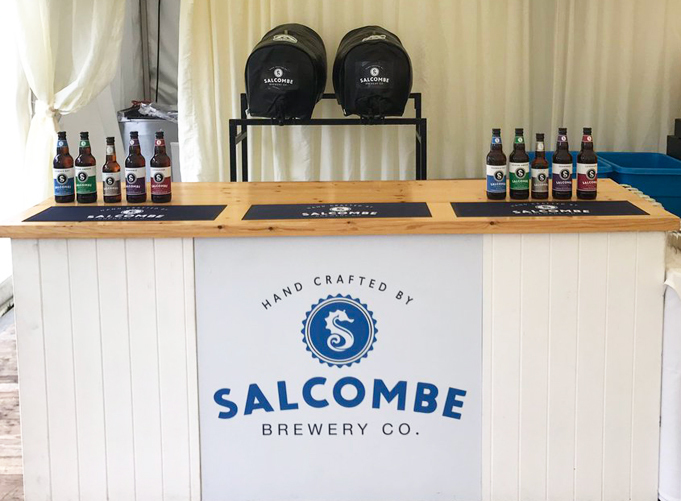 Salcombe Brew is the brainchild of Colin and Amanda Nightingale. Both Colin and Amanda's background is in Accountancy. Amanda having graduated from Oxford University and qualified with ICAEW chose the larger practice route choosing to specialise in Auditing. Colin on the other hand started his career working in a smaller practice, not wanting to specialise in any particular sector, but was keen to assist clients in all areas of accountancy. As you can imagine the love of coffee soon became apparent for both of them in 2015 Colin was diagnosed with Vasculitis, and it was this which led them to re-evaluate their lives and when the opportunity arose to start up their own Coffee Company, with the help of one of the UK's leading independent roasting and packing companies they took it, and Salcombe Brew was created. Colin says: "Who knows what the future holds, but our aims are high, and we want to be recognised as one of the leading independent coffee company's in the UK." "Whether or not we achieve this time will tell, and proof will be in our coffee." We would go as far as saying that we absolutely loved our samples of their blends, and certainly are converted! The addition of using the coffee bags was very useful and we feel this is a great way of making a great tasting cup of coffee, cafetiere style, but with minimal effort. A great way of taking a great tasting coffee with you whilst traveling! High grown, high quality coffee beans from Central and South America combine to produce a wonderfully balanced blend that is both satisfying and full of flavour. Sweet, syrupy and nutty with a flora, perfumed aroma. Notes of peanut butter and butterscotch can develop through espresso as well as sour gooseberry and grape tannins. Smooth, mild and sweet with good notes of roasted peanut, soft milk chocolate and cookie dough. Medium-bodied with mild acidity and slight Durnt sugar sweetness Our new Decaf blend, which has not yet been named on our website, will be called Smalls. All of our blends are named after Salcombe, and we thought Smalls is appropriate for the decaf, with it having a very small amount 0.01% of caffeine. Smalls is actually one of the beaches in the Estuary along with Sunny Cove. Union Street is the name of the street where the RNLI station is based, which we support. So Colin, can you tell us a bit more about how Salcombe Brew was created? Salcombe Brew was created through the desire to bring the two finest things in life for Amanda and I together, that being fine coffee and the small coastal town of Salcombe in South Devon. At the beginning our aim was to create two unique blends which were not necessarily overly strong but more of a drinking coffee, one that you'd drink and think ooh I think I'll have another one of those. At the same time we wanted to be able to offer to our customers our coffee in the various different forms available in today's market. To be able to offer such a range, we linked up with one of the UK'sleading independent coffee roasting and packing companies. Today we are not only able to offer our coffee as whole beans and ground coffee, but also in Nespresso compatible capsules and our unique individually wrapped coffee bags. We always refer to Salcombe as our home from home. One of the integral parts of a coastal lifestyle is the sea, but this can present many hazards and dangers. The RNLI which has a station in Salcombe do an amazing job, with the volunteers often risking their own lives to save others. At Salcombe Brew we proudly pledge a % of all our sales both retail and wholesale to RNLI Salcombe. As you are a man who truly appreciates his coffee, what coffee do you normally consume during a day and can you explain why? Our week day usually commences with a strong "wake me up" blast of Sunny Cove which is a strength 5. It has to be said both Amanda and I like differentstrengths, which is where our individually wrapped coffee bags come in useful, as the strengths can be adjusted depending on how long you leave the bag to brew, and also avoids any early morning arguments over how strong the coffee is or not. During the day, when an injection of caffeine is needed, we reach for our Union Street blend, which is a strength 3. It has to be said you can't beat the smell of whole beans and when there is no rush for the coffee, we love to grind these and make a large cafetiere and share with our work colleagues. At the same time if we have meetings, it is just as easy to pop a capsule into the machine and within seconds you have the coffee you love but from a capsule. In the evenings we tend to step away from our caffeinated blends and opt for our new decaffeinated blend, to ensure a peaceful night's sleep, ready for the next day. How has the reception been for your blends from retailers? The reception to our blends has been fantastic from all those who nave tried it ana nas Diown us away with us being a relatively new start up business, in an industry which has a lot of competition. It has to be said that the real hit has been our individually wrapped coffee bags which offer the discerning customer cafetiere coffee without the mess, and sets us apart from our competitors. Secondly our Nespresso compatible capsules have also been a great success, with Nespresso's patent on their capsules coming to an end, this has provided us with the opportunity of entering this aspect of the market. We love the idea of a decaffeinated version of your coffee, how was this thought up and how does the taste compare to your other versions? Our decaffeinated version of our coffee was brought about by customer feedback and demand, asking for such a blend to be part of our range. We have worked hard with our roasting house to develop a unique blend, which compliments our existing caffeinated blends. At the same time we were keen to use a process of extracting the caffeine from the coffee beans which was chemical free. This is why we have chosen beans that have had the Swiss Water Process applied, which is 100% chemical free. It has, in our opinion, the same great taste as our other blends. How do you source your coffee and decide on blends? Our coffee beans are sourced from around the world, and we work alongside our roasting house to create our unique blends. Our biggest challenge to date has been our new decaffeinated blend, as some processes used to extract the caffeine use damaging chemicals and they don't remove as much caffeine as they may suggest. The process that we use is the Swiss Water Process, which is 100% chemical free and uses the pristine water of the the coastal mountains of British Colombia, Canada to gentiy decaffeinate the bean a process that can also guarantee 99.9% caffeine removal. What are your thoughts on the rise of the capsule coffee? We note that you make compatible capsules; do these sell in equal amounts to your packaged product? It has to be said, coffee capsules don't necessarily make the best coffee, and unfortunately their environmental credentials are currently not the best either but what you do get is consistency. This is why you'll find them in most homes across the country and in Michelin-starred kitchens. In our opinion the rise has been brought about by the desire for barista style coffee in the home without the mess and hassle of using a grinder and a cafetiere. At the same time restaurants are investing in such machines as they are consistent and cheaper than hiring a barista. Our Nespresso compatible capsules have been a huge success with people often saying they can't tell the difference in taste which is what we want aim to I achieve, and sales of I these to date have been on par with PP our coffee bags. There are many levels of coffee drinker, from those who enjoy grinding their own beans, to those who just appreciate the pick me up - do you deal with any particularly extreme coffee aficionados? We have some customers who are definitely coffee connoisseurs, such as one man who has a travel coffee grinder which he take with him where ever he goes for his ultimate fresh coffee on the go! We also have customers who you could class as "coffee addicts" who in the past have taken a suitcase of coffee with them on holiday, along with their own mugs! Going forward their suitcase will now filled with our individually wrapped coffee bags, which will hopefully save them room and weight! Obviously, you are just in the throes of launching your decaffeinated coffee, however do you have any plans to release more products in the near future too? As the saying goes, there's no rest for the wicked, we always listen to what our customers have to say about our blends and ideas for future products. We are currentiy looking at possibly introducing a stronger blend of coffee to our range along with an organic blend. It has also been suggested to us that we launch our very own coffee body scrub, so watch this space! Lastly, what advice would you give to our deli and farm shop readers about choosing coffee blends and how they can discuss their choices with their customers? We would always suggest trying blends first so that you have first hand experience to share with your customers. When talking with a coffee company, always ask them for their tasting notes so you are fully equipped with the details to share with your customer. We always find it useful to find out a little bit more about our customers and their lifestyles, as you can then recommend a suitable strength and a suitable means for delivery whether it be whole beans, ground coffee, capsules or individual wrapped coffee bags. Another great idea is to hold a tasting session, so customers can enjoy a sample of the blends before buying. 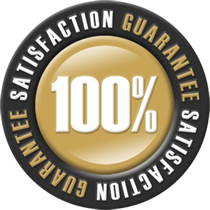 For us this has always been a huge success when we have run such events and creates instant interest in the products.